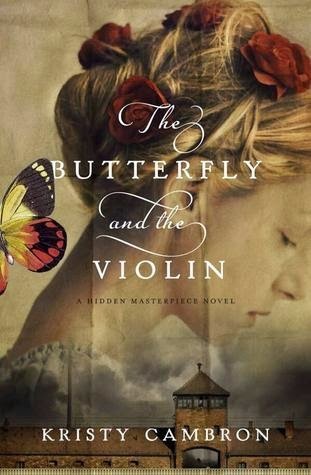 Sera is thrilled when her assistant finds a copy of the portrait of a beautiful young girl holding a violin, obviously in a concentration camp from the shorn hair and number tattooed on her arm. She saw this portrait as a young girl and has been searching for it ever since. She wants the portrait for her gallery, but the owner doesn't want to sell. Instead he wants Sera's help in finding out who the girl was. Adele was the darling of the Vienna Symphony. A prodigy on the violin, she was often asked to play with the orchestra. There she met Vladimer, a working class boy, who was cellist. He and Adele fell in love, but Adele came from an upper class family, in fact, her father was a high ranking Nazi official, so it was unthinkable that she and Vladimer could be a couple. The pair became involved with helping Jews escape from Vienna. After a disastrous attempt to rescue a family, they were turned in and both sent to a concentration camps in spite of Adele's father's position. The story of Adele and Vladimer is heart wrenching. It also introduces concentration camp history about the Women's Orchestra of Auchwitz and the art that was produced in the camp. Their story is beautifully told. Particularly as you see the Austrian Christian interacting with the Jewish women for the survival of all. I was not so impressed with Sera's love story. Sera and William search for clues to Adele's story and in the process fall in love. The modern story is intertwined with the WWII story, but it isn't as compelling. It's a straightforward modern romance. I found the characters stereotypical, not vibrant like Adele and Vladimer. I recommend this book if you're interested in some of the remarkable tales of Holocaust survivors. The story of Adele's bravery is remarkable. I would have given the book five stars, but joining this beautiful story to a mundane modern romance didn't work for me. I reviewed this book for BookLook Bloggers.